You might have thought creationism was dead, done and dusted. But far from it. We’re kicking off our new year of Skeptics dinners in Sydney with a bit of an eye-opener – the evolution of the anti-evolution movement. Professor Graham Oppy, head of the School of Philosophical, Historical & International Studies at Monash University says that, since 2000, the teaching of creationism in science classes has become “more prevalent”. “Groups like CSF (Christian Science Foundation), Answers in Genesis, Creation Ministries, and Creation Research … work hard to get their materials into schools”, he says, and this includes giving creationist ‘showbags’ to students in NSW. Who better, then, to speak on this topic than someone involved in the infamous US Kitzmiller v Dover trial in 2005 over a policy that required the teaching of ‘intelligent design’ in biology classes. Dr Nick Matzke is a postdoctoral scientist at ANU, holding a Discovery Early Career Researcher Award (DECRA) from the Australian Research Council. He is located in the Moritz Lab in ANU’s Division of Evolution, Ecology, and Genetics, and is working in evolutionary biogeography & phylogenetics. From 2004-2007, Nick worked for the US National Centre for Science Education, which combats attempts to insert creationism and other anti-science topics into public schools. In December 2015, he published an article in Science magazine, “The Evolution of Anti-evolution Policies after Kitzmiller v. Dover,” that presented a phylogenetic tree of anti-evolution legislation in the US. So what’s the latest on creationism, intelligent design, evolution and anti-evolution? 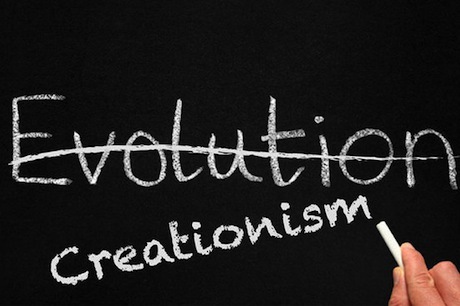 How is the anti-evolution movement ‘evolving’ to spread its message? All of this … and food … at the Skeptics dinner on April 9 at the Ryde-Eastwood Leagues Club. Previous Chiro v GP – who’s more qualified?